The first picture is me, Wendy with my son when he is 4 or 5 months old. 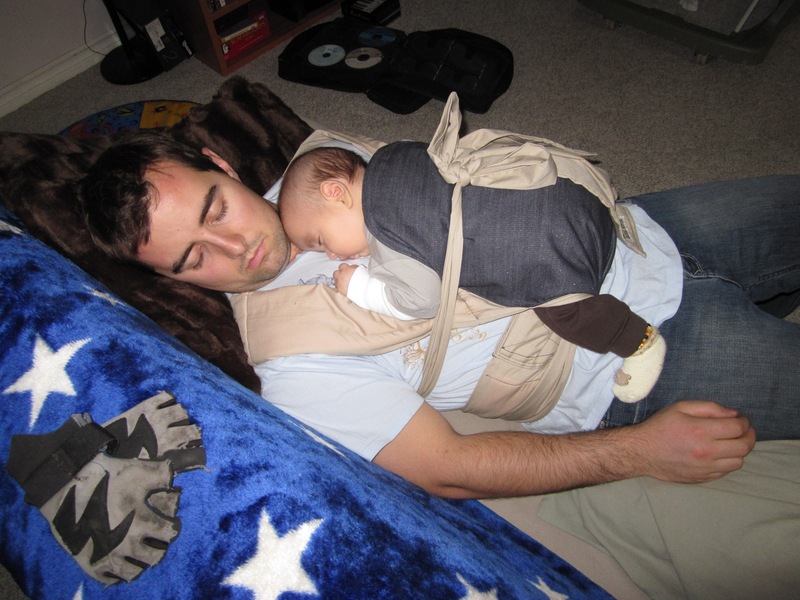 The second is a picture of my husband with our son. Both pictures are at home. 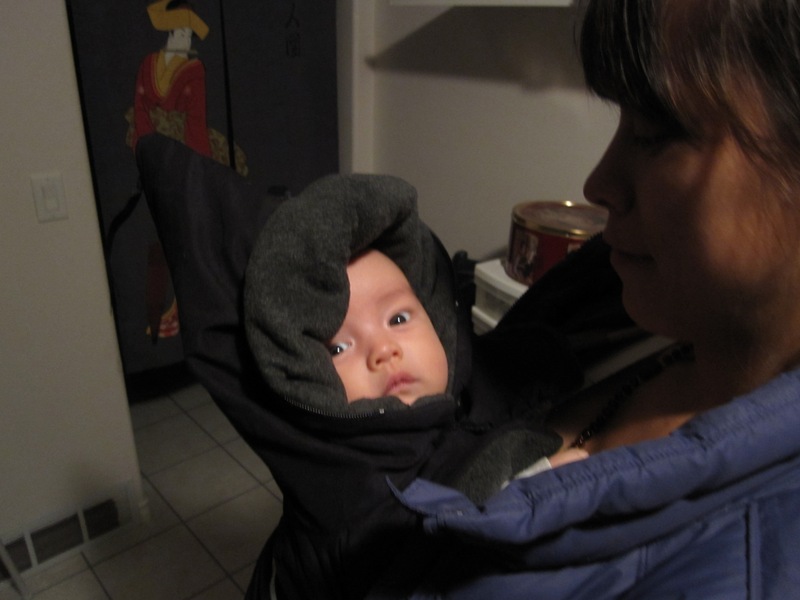 I am wearing a stretchy, moby type wrap with a Baby Parka over top. We’re about to go for a walk to my friend’s place. We went to enjoy a crisp winter evening in British Columbia. It was lightly snowing and had that feel of quiet. It was a nice feeling to be snuggled up and cool at the same time, I’ll be doing it again this winter with the new one. My husband is wearing a mei tai. He was settling our son during a teething bout while I ran to the store for some Camilia. I think they were bopping to some Aaron Spohr (music) and it was just what was needed… for both of them. I don’t know about them, but when I came home to this I felt a lot of love and was glad to have a husband who was willing to wrestle our newest carrier by himself… and win. I babywear for closeness and so I feel like I can do things I would otherwise not do. What is the Baby Parka? It almost looks like you have some sort of jacket that is wrapping around mom & baby?